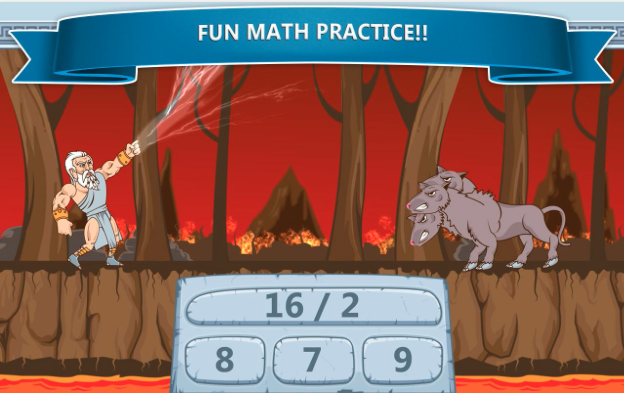 Zeus vs. Monsters is a fun Android app for practicing basic Math skills (addition, subtraction, division, etc). It has users trying to defeat mythical enemies (i.e. Medusa, Cyclops) by trying to solve equations. Best of all is the high replay value of the game w/ over 50 levels and 10 bosses to try to defeat. Also, the game has a detailed report feature that shows exactly how well a student did and which problems they got wrong. I highly recommend checking out Zeus vs. Monsters by clicking here!!! Find Zeus vs. Monsters on Edshelf by clicking here.